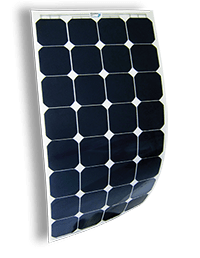 The company has developed and patented an innovative method to encapsulate solar cells using only polymers and not glass as in common photovoltaic modules. Solbian was the first to have obtained a photovoltaic module based on silicon cells crystalline flexible and light, but also so resistant to pass unscathed tests of IEC certifications (61215 and 62730): a result already achieved in 2011. The history of Solbian is made of passion, the same that drives the company, present in the photovoltaic sector since 2007, to produce Solbianflex photovoltaic panels. 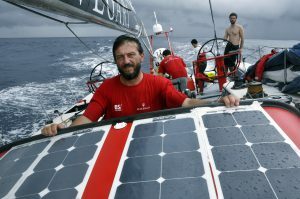 Giovanni Soldini was one of the first navigators to choose Solbianflex flexible solar panels for his most daring ocean crossings, confirming their quality and resistance to the challenges of life on board. The company then grew, coagulating around the initial idea of ​​industrial resources and individual skills and carrying out the technological development of both the new type of photovoltaic module and the electronic control, offering its products not only to the competition boating and indeed, not only more to the boating in general, but finding hundreds of applications in the most disparate fields. Solbianflex panels are, in fact, particularly suitable for sailing boats. However, their use is also valuable in electric mobility, caravans and campers, trekking, tents and shelters, emergency buildings and for architectural integration. All this is what led our project to use these solar panels, in fact the Solbian flexible panels are currently used in the HySolarKit project. Solbian is an official partner of the LIFE-SAVE project.